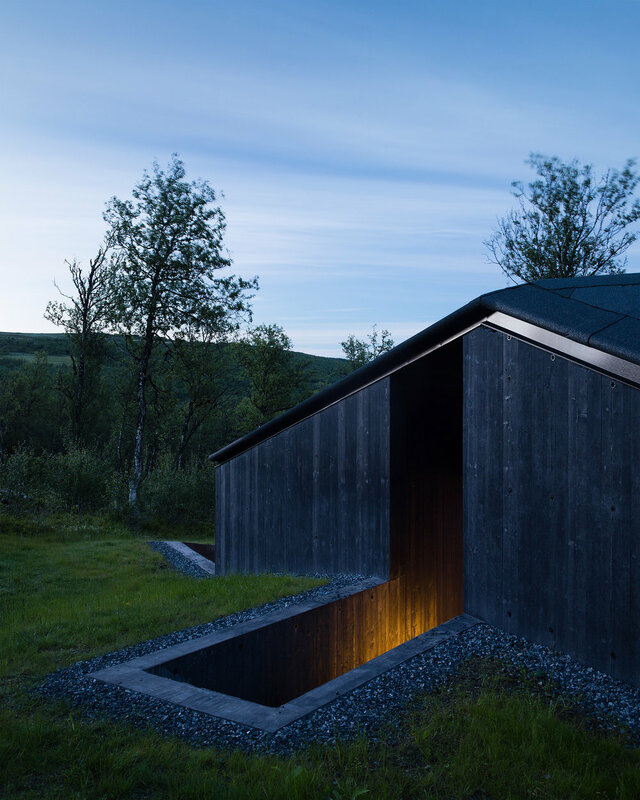 Situated at 982 meters above sea level, this funkis cabin has a panoramic view overlooking the valley of Geilo, Norway, only accessible with ski or snowmobile during winter. Made by Lund Hagem Architects, the beautiful graphic beams of sunlight on the high walls seem as intentional as the rest of the architecture, with a south-facing courtyard allowing the low winter sun to enter during the day. 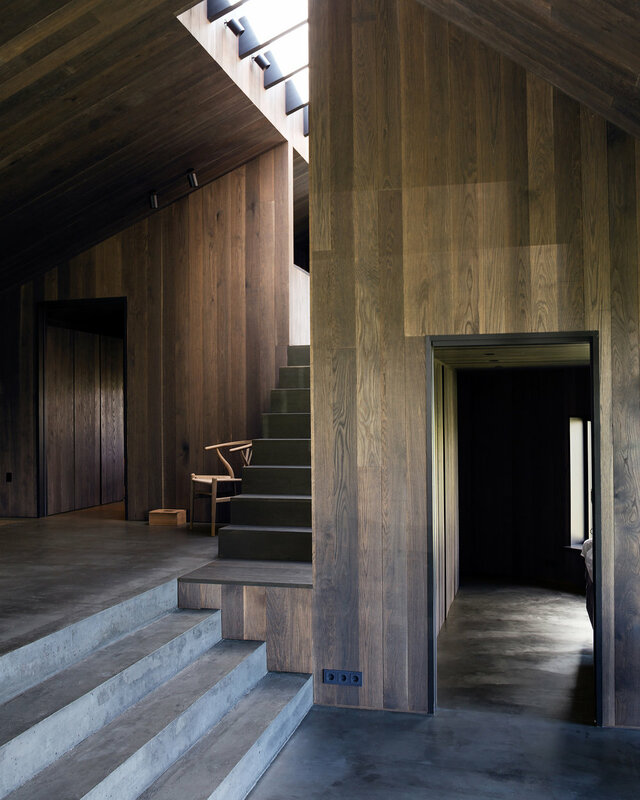 The facades facing the terrain are made of concrete, while the rest of the cabin is a wood construction, painted in traditional black, like the rest of the buildings in the area. 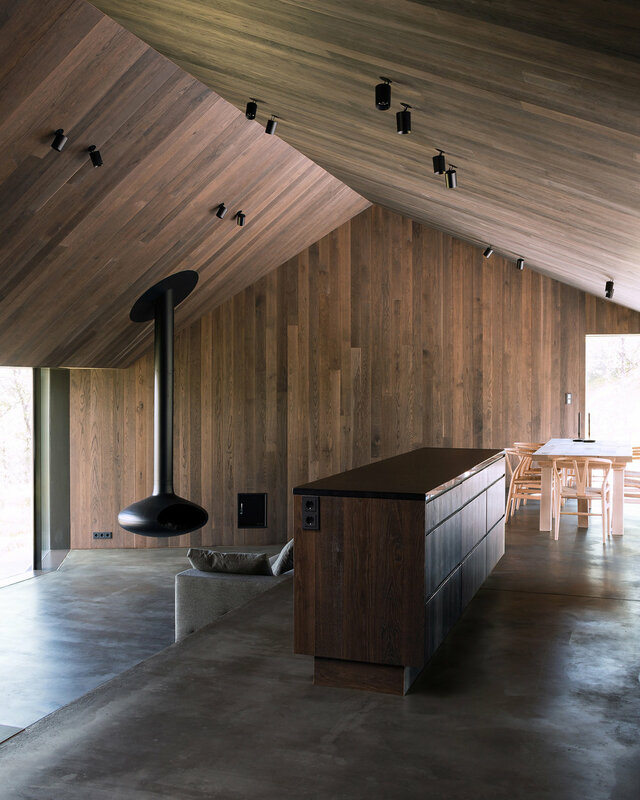 The concrete formwork is made out of the same dimensions as the timber cladding and the materials inside are black concrete floors and oak treated with iron sulphate. The outer geometry is formed by the important views and the adaption to the landscape.